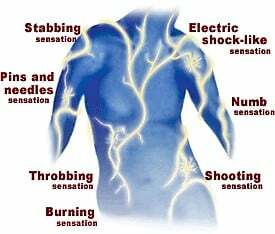 Some of conditions causing nerve pain. We strictly advise to take expert opinion on diagnosis & treatment. Trigeminal neuralgia is a chronic pain condition that affects the trigeminal nerve, which carries sensation from face to your brain. 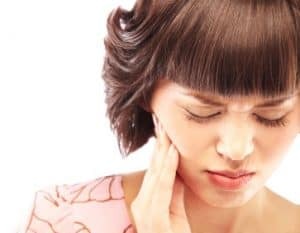 If you have trigeminal neuralgia, even mild stimulation of face — such as from brushing your teeth or putting on makeup — may trigger a jolt of excruciating pain. You may initially experience short, mild attacks. But trigeminal neuralgia can progress and cause longer, more-frequent bouts of searing pain. Trigeminal neuralgia affects women more often than men, and it’s more likely to occur in people who are older than 50. Fibromyalgia is a common and complex chronic pain disorder that causes widespread pain and tenderness to touch that may occur body wide or migrate over the body. Along with other symptoms, pain and tenderness wax and wane over time. Fibromyalgia (FM) affects people physically, mentally and socially. The literal translation of the word fibromyalgia is pain in the muscles, ligaments and tendons. But fibromyalgia is much more than pain and presents with many other symptoms that vary from person to person. Complex regional pain syndrome (CRPS) is a form of chronic pain that usually affects an arm or a leg. CRPS typically develops after an injury, a surgery, a stroke or a heart attack. The pain is out of proportion to the severity of the initial injury. Type 1. Also known as reflex sympathetic dystrophy syndrome (RSD), this type occurs after an illness or injury that didn’t directly damage the nerves in affected limb. About 90 percent of people with complex regional pain syndrome have type 1. Type 2. Once referred to as causalgia, this type has similar symptoms to type 1. But type 2 complex regional pain syndrome follows a distinct nerve injury. Chronic Daily Headache is a descriptive term that includes disorders with headaches on more days than not and affects 4% of the general population. The condition has a debilitating effect on individuals and society through direct cost to healthcare and indirectly to the economy in general. To successfully manage chronic daily headache syndromes it is important to exclude secondary causes with comprehensive history and relevant investigations identify risk factors that predict its development and recognise its sub-types to appropriately manage the condition. Peripheral neuropathy is disorder of nerve(s) apart from the brain and spinal cord. Patients with peripheral neuropathy may have tingling, numbness, unusual sensations, weakness, or burning pain in the affected area. Oftentimes, the symptoms are symmetrical and involve both hands and feet. Because the symptoms are often present in the areas covered by gloves or stockings, peripheral neuropathy is often described as having a “glove and stocking” distribution of symptoms. Peripheral neuropathy can involve different nerve types, including motor, sensory, and autonomic nerves. Peripheral neuropathy can also be categorized by the size of the nerve fibers involved, large or small. Postherpetic neuralgia) is a complication of shingles, which is caused by the chickenpox (herpes zoster) virus. Postherpetic neuralgia affects nerve fibers and skin, causing burning pain that lasts long after the rash and blisters of shingles disappear. The signs and symptoms of postherpetic neuralgia are generally limited to the area of your skin where the shingles outbreak first occurred — most commonly in a band around your trunk, usually on one side of your body. However postherpetic neuralgia is also common in people whose shingles occurred on the face. Diabetic neuropathy is a type of nerve damage that can occur if you have diabetes. High blood sugar (glucose) can injure nerve fibers throughout your body, but diabetic neuropathy most often damages nerves in your legs and feet. Depending on the affected nerves, symptoms of diabetic neuropathy can range from pain and numbness in your extremities to problems with your digestive system, urinary tract, blood vessels and heart. For some people, these symptoms are mild; for others, diabetic neuropathy can be painful, disabling and even fatal. Consult Spinomax Pain & spine Center to find best nerve pain treatment for you.